Seventy years ago on this day, Wednesday, May 12, 1943 during the Battle of the Atlantic two allied ships were sunk (the Norwegian Motor tanker Sandanger in HX-237; and the Norwegian Motor merchant Brand in convoy HX-237) and one damaged (the American Steam merchant Cape Neddick). There were three German U-Boats sunk(U-186 in Wolfpack Elbe 2; U-89 and U-456 in Wolfpack Drossel). Wolfpack Drossel attacked convoy HX-237. Seven U-Boats would be sunk, for a loss of four merchants and two allies aircraft. Convoy HX 237 was seen as a success by the Allies, 38 ships arrived safely. The convoy was another in a series of set-backs suffered by the U-boat Arm, referred to as Black May. "...May opened with the battle for ONS 5, a hard-fought clash which saw heavy losses on both sides; 12 ships were lost for the loss of six U-boats. But the tactical improvements of the escorts began to take effect; The next three convoys that attacked saw seven ships sink, for the loss of seven U-boats. Finally, convoy SC 130 saw five U-boats sink (Admiral Dönitz's son Peter was among those lost aboard U-954) without loss to the convoy. Shaken by this, Admiral Dönitz ordered a retreat from the Atlantic, in order to recoup; the U-boats were unable to return to the fray in significant numbers until autumn, and never regained the advantage. Total allied losses in May were 58 ships of 299,000 long tons (304,000 t), of which 34 ships (134,000 long tons (136,000 t)) were lost in the Atlantic. .."
There were 129 U-Boats at Sea (Events this day - U-Boat Net). During the previous month April 1943, 56 merchant ships were lost to U-boats (328,000 gross tons). Since the beginning of the year, Destroyer Escorts were entering into service at an ever increasing rate. 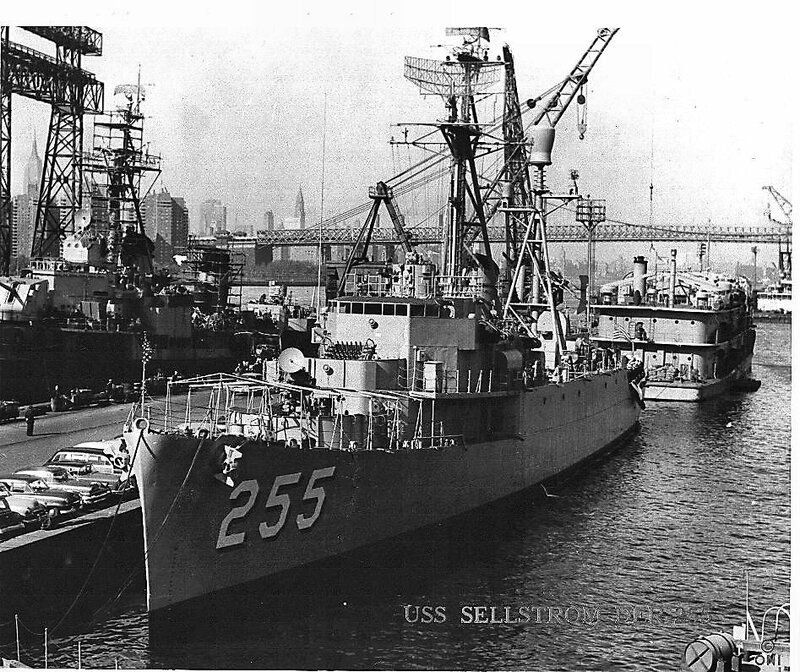 On May 12, 1943 the USS Sellstrom (DE-255) was launched. I follow the Naval History Blog, and recently they posted this story - April 11, 1900: The First Submarine of the Navy, USS Holland (SS-1). "....This article was written by Captain Frank T. Cable as The Submarine Torpedo Boat Holland: First Submarine to Become a Part of the United States Navy for the February 1943 issue of Proceedings magazine. ...."
Great article! Interesting comment from Clara Bar­ton: ".... On one of these trips we had Clara Bar­ton, founder of the Red Cross, on board as a guest. Perhaps she was the first woman to venture in a submarine. We ran the Holland for several miles on the surface, then submerged her and Miss Barton to a depth of 15 feet on a run of 2 miles. Hol­land explained to her the boat’s mecha­nism, particularly the operation and effect of the torpedo. If he looked for congratula­tions on his ingenuity, he did not get them. On the contrary, she expressed her great surprise that any American citizen should be guilty of inventing such a deadly instru­ment of war. Holland, with his usual Irish good nature, assured her that to take life was not the purpose of the boat, but rather the contrary. He believed that if all the nations of the world were equipped with submarines there would be no war. The World War proved that he erred...."
Perhaps, that's the comment John Holland made to Clara Barton, but I doubt he was sincere when he made it! 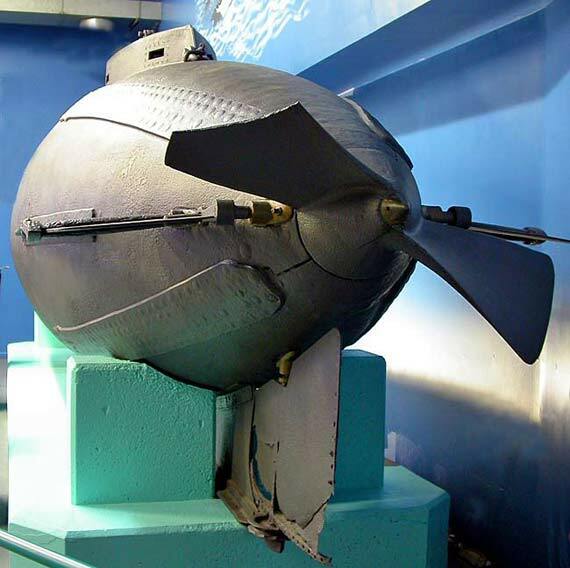 Earlier protypes of Holland's submarine were called the Fenian Ram. It was built with financial support from the Fenian Brotherhood (an organization that conducted terrorist raids into Canada). From the start the Fenian Ram was intended as a weapon that would sink British Shipping. Today John Holland's Fenian Ram is in the Patterson Museum. William Maloney has a great series of photographs of the Ram. btw - He also has excellent photos of the USS Slater. Seventy years ago on this day, Wednesday, April 28, 1943 during the Battle of the Atlantic no allied ships. There were several German and Japanese ships sunk. "...In the course of a week, ONS 5 had been the subject of attacks by a force of over 40 U-boats. With the loss of 13 ships totalling 63,000 tons, the escorts had inflicted the loss of 6 U-boats, and serious damage on 7 more. This battle demonstrated that the convoy escorts had mastered the art of convoy protection; the weapon and expertise at their disposal meant that henceforth they would be able not only be able to protect their charges and repel attack, but they would also be able to inflict significant losses on the attacker. ONS 5 marked the turning point in the battle of the Atlantic. Following this action, the Allies inflicted a series of defeats and heavy losses on the U-boat Arm, a period known as Black May. This culminated in Dönitz withdrawing his forces from the North Atlantic arena.."
There were 148 U-Boats at Sea (Events this day - U-Boat Net). During the previous month March 1943, 107 merchant ships were lost to U-boats (627,000 gross tons). About two-thirds of the tonnage sunk by U-boats during March was in convoy (a record for the war). Since the beginning ot the year, Destroyer Escorts were entering into service at an ever increasing rate. On April 28, 1943 the USS Griswald (DE-7) was commissioned, Lieutenant Commander Charles M. Lyons in command.